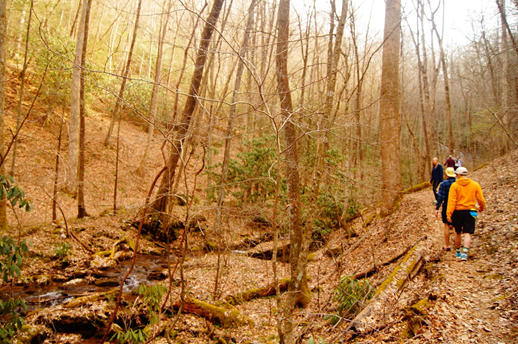 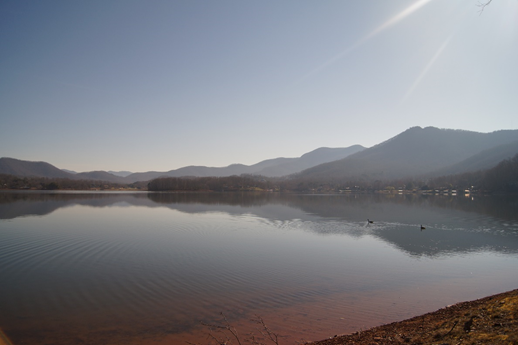 A picture of the scenery around downtown Hiawassee. 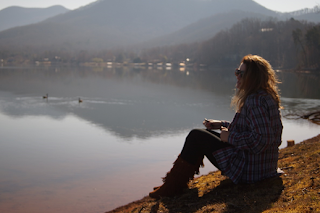 A cool picture of Kari sitting at the shore of this amazing lake. 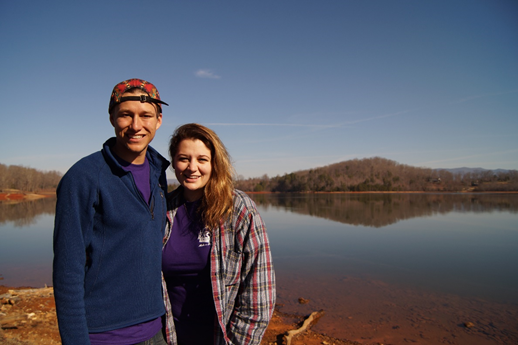 A picture of Kari and Adam posing in front of this beautiful lake. 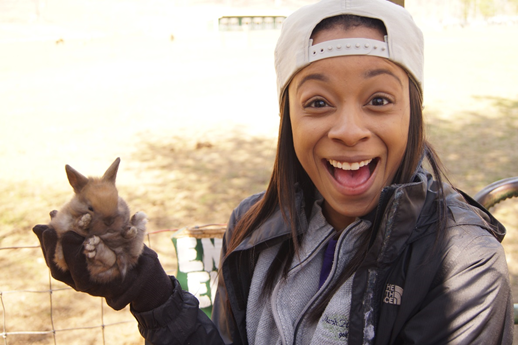 A picture of Maiya holding the cutest baby bunny that ever lived. 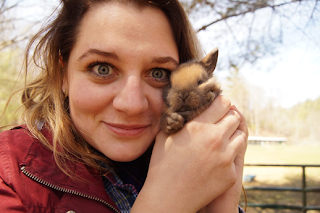 A picture of Kari and a baby bunny. 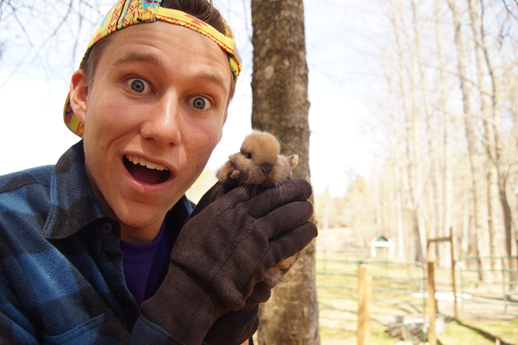 A picture of Adam and a baby bunny. 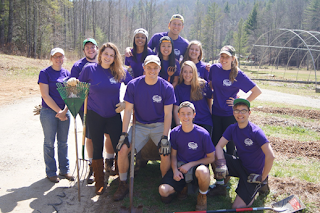 A picture of the crew, rocking our Enota shirts! 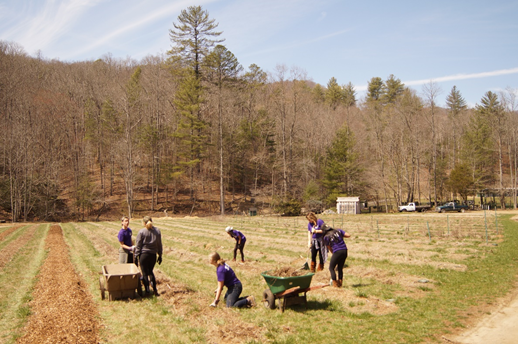 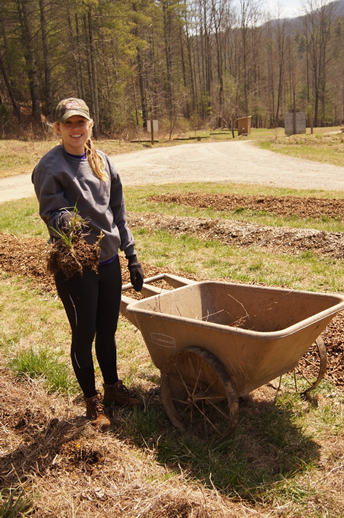 It looks like Rachel is enjoying weeding farm beds! We love bunnies so much that we went back to take more pictures with them. 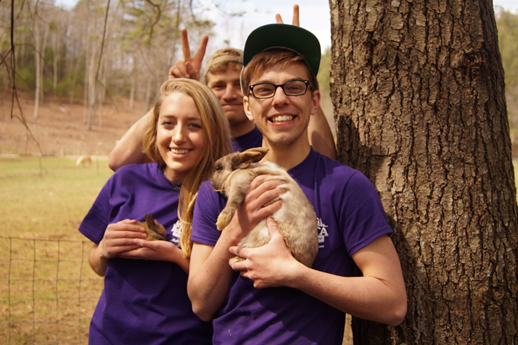 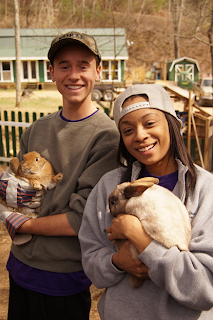 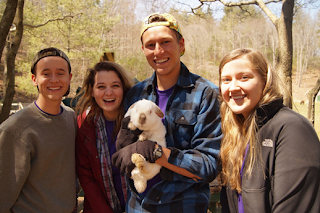 Alex and Sianna holding bunnies; Joe in the background ironically photo-bombing with bunny ears. A picture of Maiya and Evan holding bunnies. 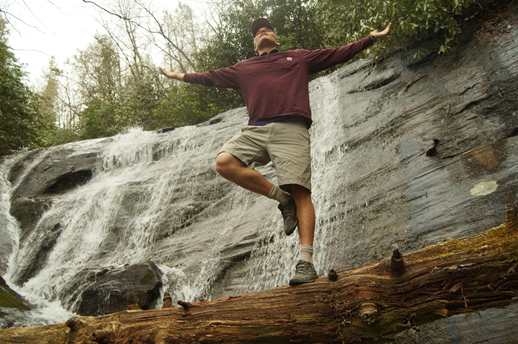 After the work was done for the day, we began our hike to a 400 ft. waterfall. 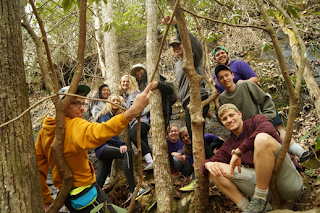 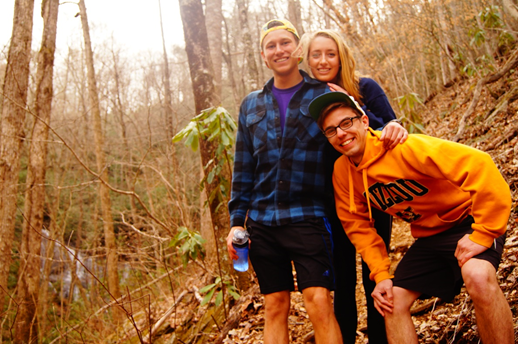 A picture of Adam, Sianna, and Alex during our hike. 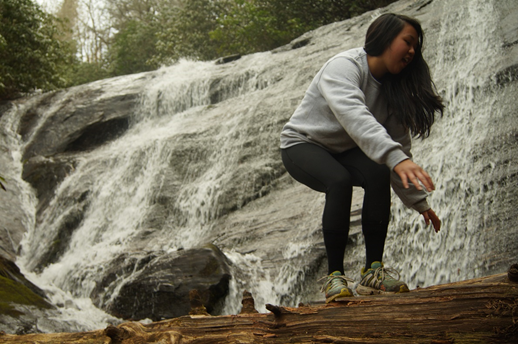 A picture of Nicole being very adventurous.